We have google analytics and it is working just fine for us except for the site search tool. Because Miva does not change the URL, I don't know what to put in query parameters for the site search tool. Does anyone know? PS I apologize for running this twice; I think it was getting lost in the last post that I had with my other question. The variable name for the built-in search feature is Search. If you are using another search tool, just do a view source on the page with the search form and check the name of the textbox input field. That is what I have in the field and it still isn't working (I put both Search and search). I double checked and made sure it was the name of the form and it is since I am using the Miva search function. Has anyone else had this problem? Website is www.nationalincontinence.com. Do you have it set to "Do Track Site Search", and "No, do not strip query parameters out of URL"? 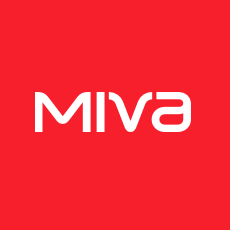 That will not work as Miva Merchant does not pass the "Search" query in the screen url. However you can pass the search query to Google Analytics using the proper custom template code. I fixed the problem. You do want to use the word "search" in google analytics and you do want to check the box for "no" as was suggested. The fix is to make it a "get" search instead of a "post". You can do this where the search box is declared. For me, it is in the global header. Do you mean don't use "search", but do use "Search"? In other words, capitalize the "S"? I'm pretty sure you do not have to change from post to get. I like post better for many reasons. From the ga analytics forum I found this from some people discussing this problem. 1. setup the search tracking just like you did, tell it to use the query string and also to strip it out. 2. use trackpageview() to create a virtual page containing in URL the requested parameter. Then you could easily use Site Search feature without a query string. result: ga will use the trackpageview instead of the real url of the screen you are on. All you need to do is use the mvt variable to insert into the ga code. the whole url query string thing becomes a moot point. I haven't tested this yet myself.. but I am going to tonight. I just stuck this into my footer code that outputs the ga script and the output looks right. I post here if I get good results or not. Last edited by kayakbabe; 12-05-08, 05:08 PM. You CAN definitely use the google analytics trackpageview in order to make it work. Just follow my directions above and wait 24 hours for the tracking to kick in. It works great! I'm seeing all my insite searches. I put in some test searches just to make sure. Last edited by kayakbabe; 12-08-08, 02:10 PM.